Philips Hadco’s FlexScape series provides convenience and cost savings landscape lighting options all within a single LED luminaire that can be used in commercial and residential applications. Both FlexScape inground and accent luminaires have built-in flexibility. Choose from four light outputs between 111 and 710 lumens, as well as beam patterns ranging from narrow (15°) to wide flood (60°). With different lighting outcomes, FlexScape lets you custom-design the most suitable landscape luminaire for the job, while saving time and money. 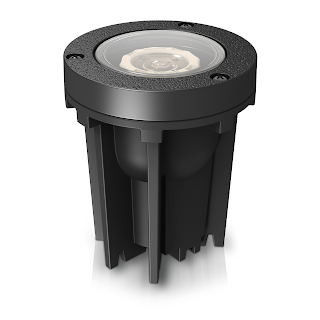 The luminaire’s rugged die-cast aluminum housing features low-energy outdoor lighting. Convenient beam adjustability makes for easy on-site lighting effect changes. The lockable aiming is well- suited for accenting objects, textures, walls, trees, etc. This all-weather luminaire comes with 100% molded silicone gaskets. The luminaire creates visual interest for, pathways, walls, columns and foliage. Its rugged housing installs directly into the soil. 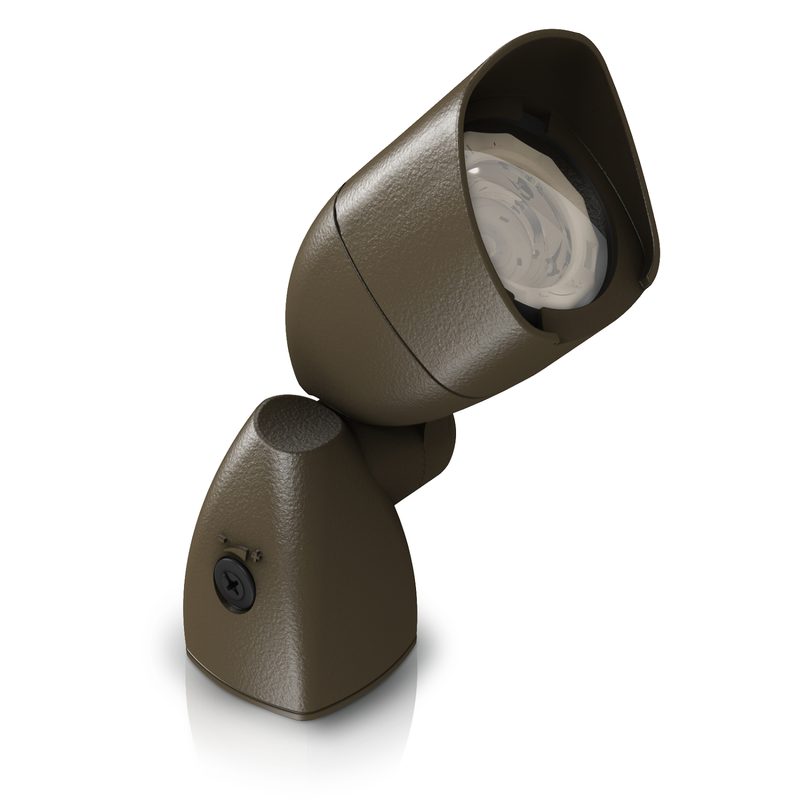 In addition to low-energy outdoor lighting, it features convenient on site beam adjustability. 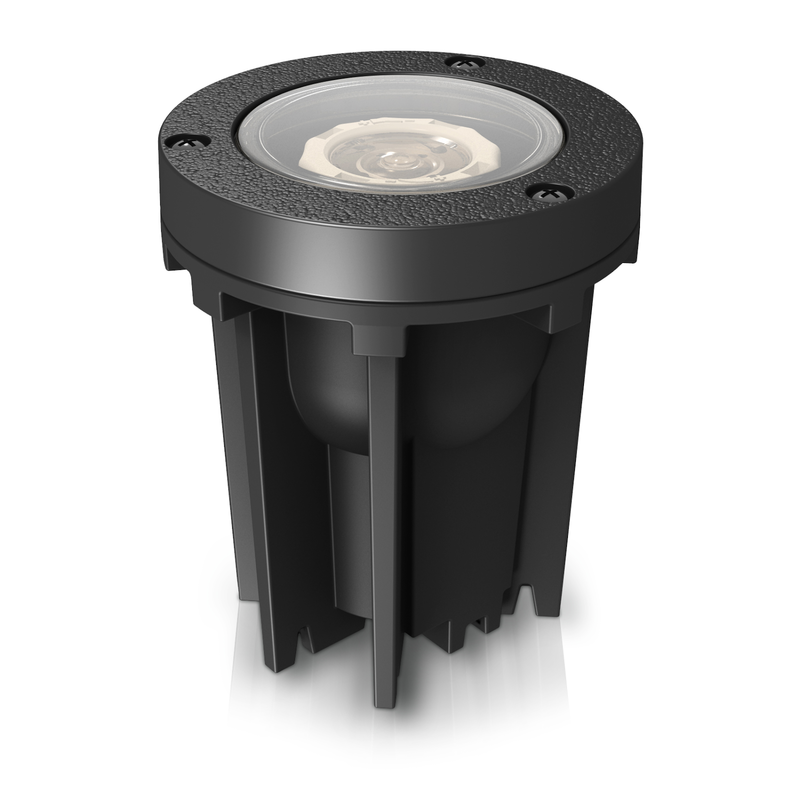 This all-weather luminaire comes with 100% molded silicone gaskets.